Looking to watch the Pittsburgh Steelers online? Here is your complete guide to all the legal ways to access Pittsburgh Steelers live stream without cable. Watch every out-of-market Sunday game this season with NFL SUNDAY TICKET. Enjoy in-market games and on-demand content. Get unlimited cloud DVR storage. Data effective 9/6/18. Offers and availability may vary by location and are subject to change. With star-studded duo Le’Veon Bell and Ben Roethlisberger leading one of the NFL’s best offenses, the Steelers’ 2018 season may be one for the history books. Who knows? Maybe a Super Bowl appearance is in the cards for the Black and Gold. Still on the fence about how to watch the Pittsburgh Steelers this coming season? Don’t worry, we’re here to help you catch (or handle, rather) every snap. Keep these channels in your how-to-watch playbook to catch every Steeler game this season. CBS will broadcast 10 Steelers games. NBC will host 3 games this season. FOX will show 2 games. ESPN will only present 1 game this season. This is a lot of info, which can be a lot to take in at first. So, we’ve ranked some of our favorites along with some highlights you’ll want to remember. Ready, set, dilly, dilly, hike: DIRECTV’s CHOICE™ package includes an entire year of nationwide football access, and months of premium movie content. Unlike being a free agent, however, you still must sign a two-year contract (more on that below). Let’s talk about the good stuff first.  The DIRECTV CHOICE™ package starts off at $45 a month and includes an entire season of NFL SUNDAY TICKET. For those that don’t know, that means you’ll be able to watch every out-of-market Sunday game in the 2018 season. It’s basically like scoring a game-winning, two-point conversion. Considering that NFL SUNDAY TICKET is regularly priced at about $293 a season, that’s a pretty good deal. Yikes, right? We also had that reaction, but nothing is mandatory and you can choose to opt out of the service for 2019. If you have a little money to burn, however, it may be worth investing in some solid seats for the entire season—just putting that out there. Well, we did the math and it turns out these numbers aren’t far off from other satellite TV services. But one thing DIRECTV does have that others don’t is NFL SUNDAY TICKET, so you’ll still get more coverage than you would otherwise. If you don’t feel like signing your life away on a two-year contract, a streaming service might be the solution you need. 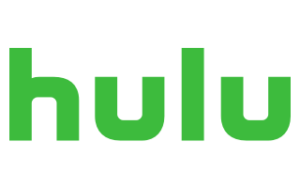 Hulu with Live TV is an upgraded version of standard Hulu in which you get all of Hulu’s on-demand content along with over 60 channels of live TV. Check out a free trial now and try it for yourself if you’re already sold. Hulu Live seems like the big brother of regular Hulu and, in some ways, it absolutely is. For $39.99 a month you’ll get shows like Castle Rock and Power on top of all the local channels you need to watch what you really came for—football. Hulu Live is the best when it comes to having access to local channels, with close to 600 local affiliates nationwide, you’ll get what you need to watch the Steelers on Sunday. That being said, we do recommend you check out which channels are available in your area before pulling the trigger. Head on over to the Hulu Live website and make sure it has what you’re looking for. Hulu Live does have a lot of customization options that may push you over the edge when deciding if it’s something you’d like to have. But when you give them a closer look some of these add-ons seem like they should already be included in the base package. For example, Hulu Live’s DVR isn’t anything to write home about. It includes 50 hours of storage, which if you’re like us, you’ll use backlogging reruns of Atlanta. If you want to upgrade your DVR to 200 hours, you’ll pay $15 extra every month. This is also true if you want unlimited streaming in your own home. So, yes, Hulu Live seems like a dream service, but it can cost you quite the pretty penny. If you’re the type of person that needs to store the reruns of This Is Us and the entire 2018 season of the Pittsburgh Steelers—you’ve officially arrived. Alright, so that might be a little much, but YouTube TV is perfect for binge-watching on your own time. Check out its free trial and decide for yourself. Odds are you’ve used YouTube, which means you’re already comfortable using YouTube TV’s services. The only difference being that can also now watch the Steelers every Sunday and not just cat videos. For $40 a month, turn the internet’s largest cat video hub into a place where you can stream the latest happenings on Heinz Field. What’s more, you’ll get unlimited storage on your cloud DVR. Whether you’re working or studying during the game, you’ll still have room to save the game for later viewing. You may be saying to yourself now, “this is the part of the recommendation where you tell me all the bad things.” And you’re a little right. The reason YouTube TV is at the bottom of the list is because it suffers in the local-channel department. Unlike Hulu Live, YouTube TV only offers 391 local channel affiliates nationwide, which means you may be risking some games by going with this option. We recommend going over to YouTube TV’s website and clicking on the Try It Free button to find out whether or not you’ll be able to watch every Steelers game on YouTube TV this season. Le’Veon Bell is looking for his chance to shore up his place in the Hall of Fame. It’s only a matter of time—will you be watching when he solidifies his place among the game’s greats? We’ve told you how we watch, comment below and let us know how you watch or stream the Pittsburgh Steelers.